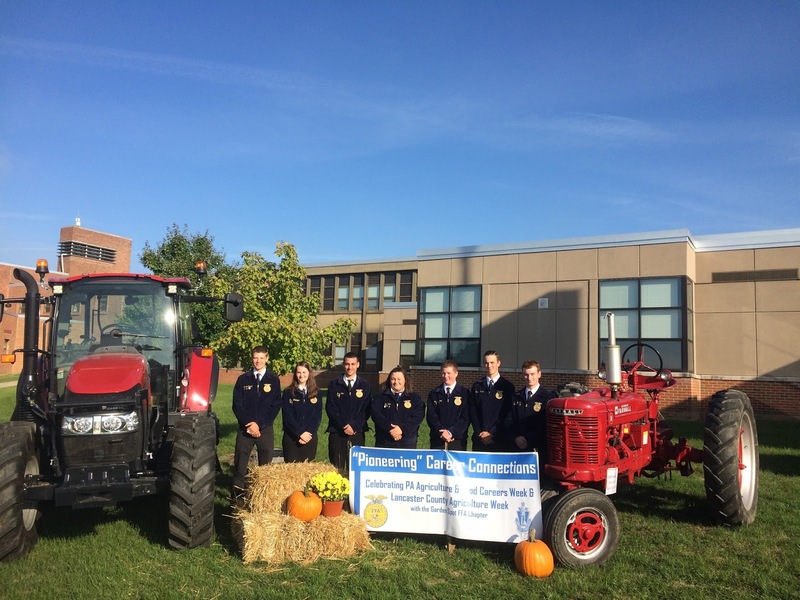 Garden Spot FFA officers pose out front of the high school. There were then remarks from special guest such as Rep. David Zimmerman and Rep. Keith Greiner. Our keynote speakers Dr. Scott J. Sheely (Special Assistant for Workforce Development, Pennsylvania Department of Agriculture) and Lisa Graybeal (Lancaster County Agriculture Council) then followed. 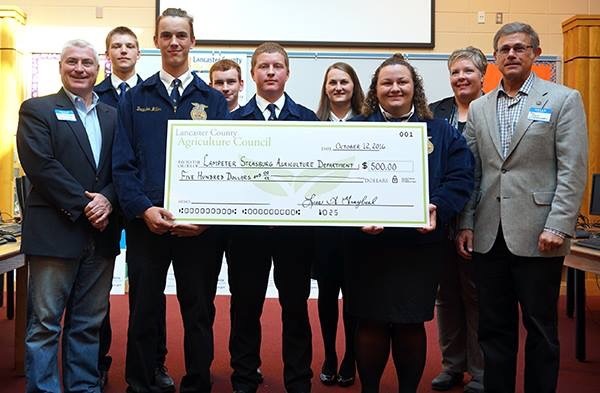 At the end of the presentations, a $500 donation was given the Lampeter-Stasburg Ag Department from the Lancaster County Ag Council. 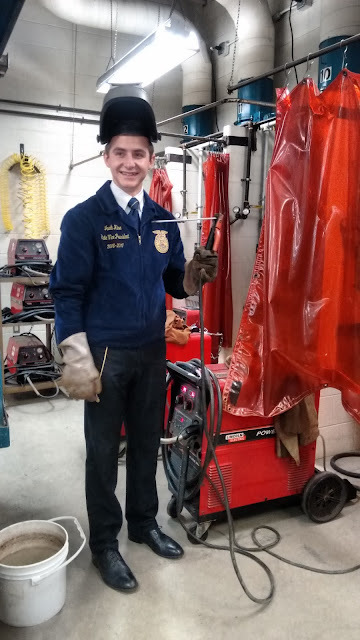 The day went on with a tour of the Agricultural department where there were several students stationed to talk about what they have been doing in their Ag classes. In the Ag science room there were more of the animals and crops set up. This included the baby bunnies and people could attempt to give shots to fruit (it’s harder than it sounds). The shop held the mechanical side including tractor restoration, small gas, and welding-which some were willing to attempt. In the Greenhouse students were talking about plants as well as the new calf that is housed there. Jacob Kline also visited L-S last week. 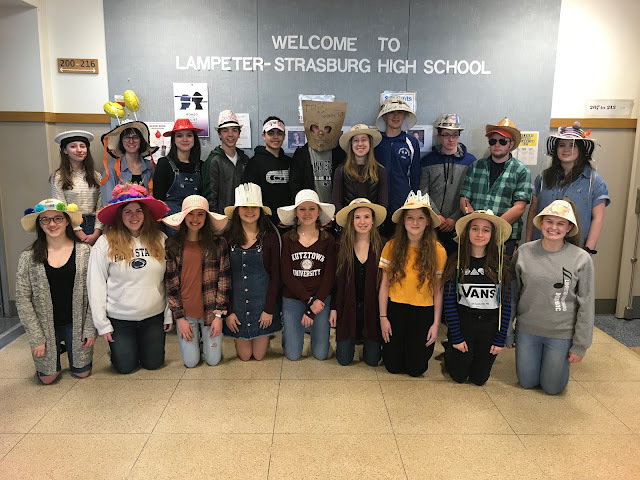 The Lampeter-Strasburg Garden Spot FFA would like to thank all who came out to help us “Pioneer Career Connections” and the Lancaster County Ag Council for the donation to our Ag department.